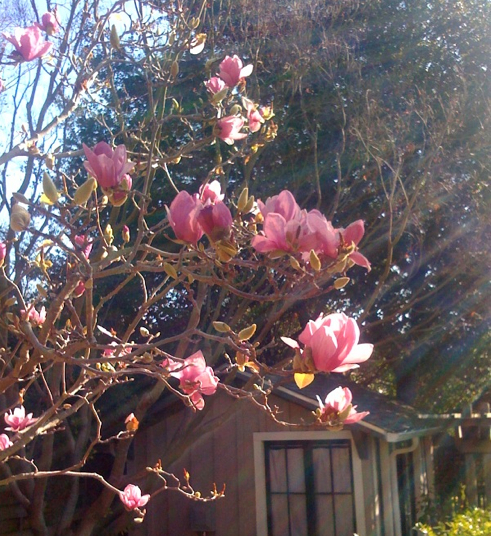 This is a special month, because it is the one month this year that my Magnolia Soulangiana, or tulip magnolia tree, is in bloom, along with many others like it around Rockridge. 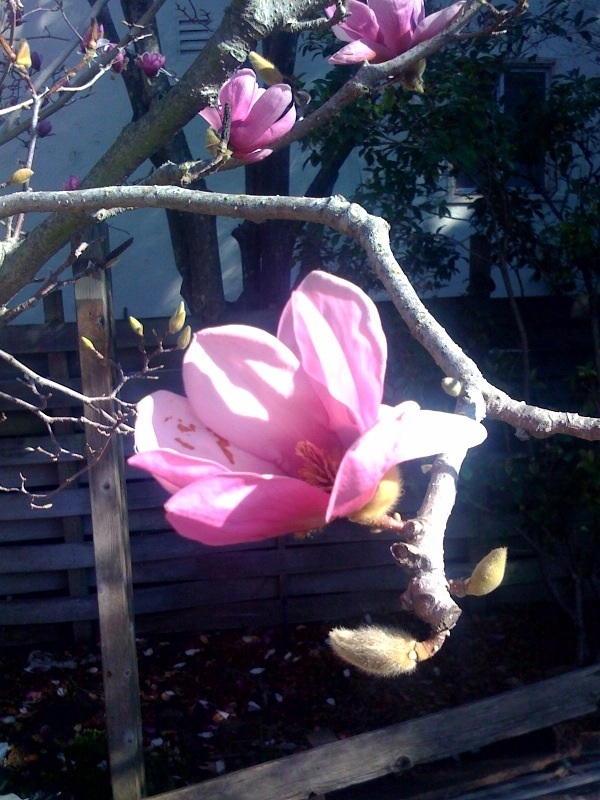 While some sources claim it’s a mid-spring bloomer, I’ve always experienced it in Rockridge in mid-January and February. A clipping with a few flowers looks phenomenal in a vase. So easy–no arranging required. and look at every one.